The heatwave is back at it again in San Diego and I'm currently wishing that I could just live in the huge walk-in refrigerators at Costco. When it's this hot, all I want to wear is light clothing and a hat to block off the haters (in this case the sun). 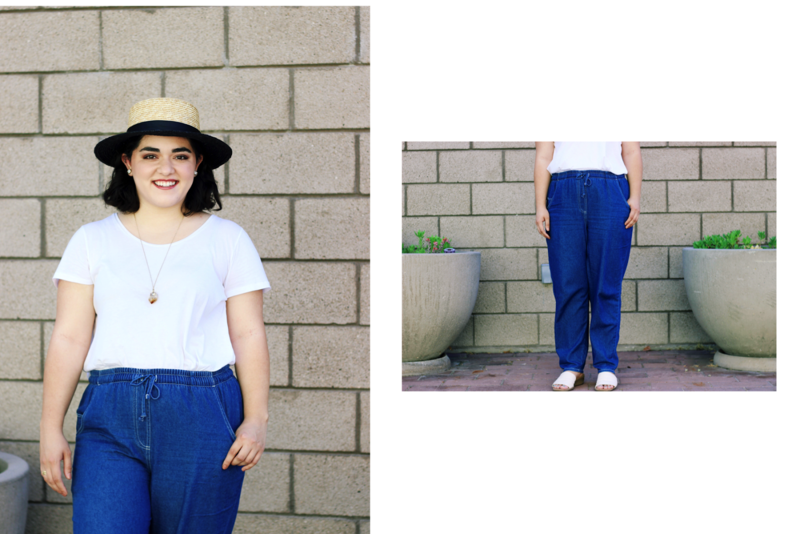 During my recent trip to the thrift stores I came across a pair of lightweight denim pants which I've been wearing a ton recently. 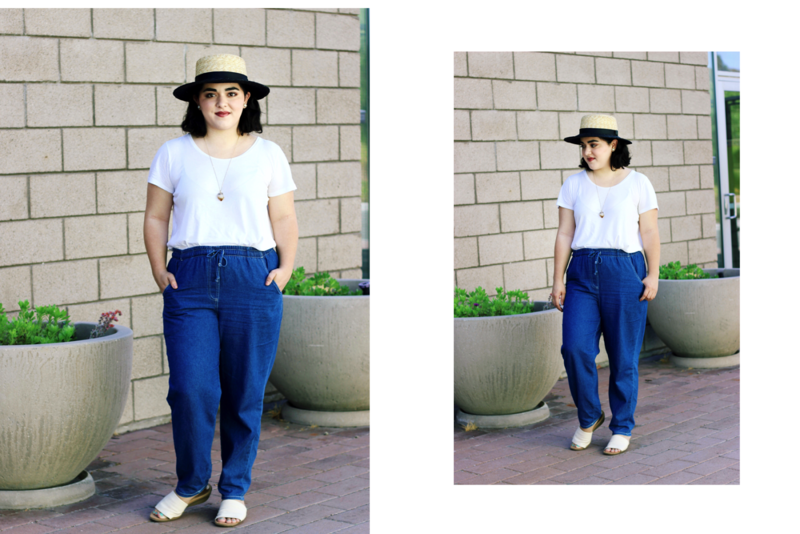 They're absolutely perfect for summer because the material is very light and airy, plus unlike regular jeans these are pretty loose. 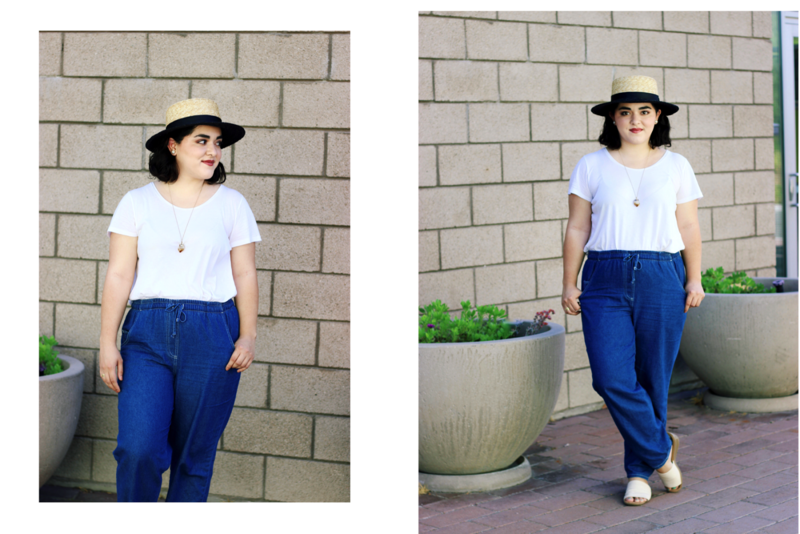 I paired the pants with my thinnest white t-shirt and a boater hat for an easy laidback summer look. How's the weather like right now where you live? Let me know in the comments below!